The objective of the Society is to engage in all activities intended to promote in Europe the development of mechanics as a branch of science and engineering. Mechanics deals with motion, flow and deformation of matter, be it fluid or solid, under the action of applied forces, and with any associated phenomena. The society is governed by the Council whose members are being elected according to rules set in Statutes. Activities within the field of mechanics range from fundamental research on the behaviour of fluids and solids to applied research in engineering. The approaches used comprise theoretical, analytical, computational and experimental methods. It gives us great pleasure to announce the 5th International Conference on Micro and Nano Flows (MNF2016) which will be held at the Politecnico di Milano, Italy from 11-14 September 2016. 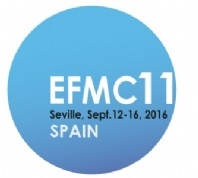 Scope of the conference : As with the previous conferences the focus of MNF2016 will be the thermal and fluid aspects of micro and nano flows, encompassing both thermofluids engineering and biomedical fluid mechanics. Measurements and simulations have found that water moves through carbon nanotubes at exceptionally high rates owing to nearly frictionless interfaces. These observations have stimulated interest in nanotube-based membranes for applications including desalination, nano-filtration and energy harvesting, yet the exact mechanisms of water transport inside the nanotubes and at the water–carbon interface continue to be debated because existing theories do not provide a satisfactory explanation for the limited number of experimental results available so far. Cell migration paths are generally described as random walks, associated with both intrinsic and extrinsic noise. However, complex cell locomotion is not merely related to such fluctuations, but is often determined by the underlying machinery. Cell motility is driven mechanically by actin and myosin, two molecular components that generate contractile forces. Other cell functions make use of the same components and, therefore, will compete with the migratory apparatus. Here, we propose a physical model of such a competitive system, namely dendritic cells whose antigen capture function and migratory ability are coupled by myosin II. L'IPGG sur les ondes en Amérique latine. 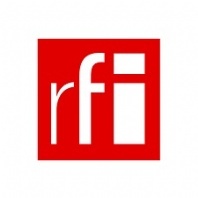 Reportage diffusé sur RFI le 19 août 2016. This is regular meeting which takes place every two years on board of river boat which take different route from or to Nizhny Novgorod along Volga river. The meeting is attended by approximately 200 participants. This year is divided onto following sections: Cellular neuroscience, Molecular neuroscience, Brain-computer interfaces and cognitive navigation, Workshop mathematical neuroscience. Patient response rates to chemotherapy are fairly low in cancer treatment, often due to human diversity and cancer heterogeneity. For almost all other diseases, the current population-averaged therapeutic approach is also hampered by the human diversity. Therefore, personalized medicine is necessary to improve treatment efficacy/response rate as well as safety by providing precisely tailored patient therapy. 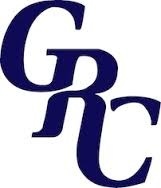 In this first GRC on "Personalized Medicine", we will review what we have achieved and how we should move forward. Welcome to the International Contest of Application in Nano-micro Technology (iCAN). iCAN is the first international youth innovation contest in micro/nano fields, it's a collaborative platform among academia & industry to stimulate the innovations of colleges students in new applications of Nano-Micro technology. 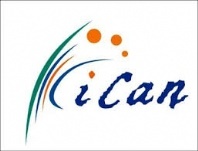 iCAN is co-organized by Chinese International NEMS Society(CINS), China Science & Technology Museum, VDE, IEEE NTC, ANF and MEMS Park Consortium, Nano-Tera etc. L'IPGG labellisé Institut " Tremplin Carnot "
Monsieur Thierry Mandon, Secrétaire d’Etat en charge de l’Enseignement supérieur et de la Recherche annonce les résultats de Carnot 3, le mercredi 6 juillet 2016 à 16h à la Maison de la Chimie à Paris. Parmi eux : le Tremplin Carnot IPGG. Créé en 2006, le label Carnot vise à favoriser le développement des partenariats de recherche et le transfert de technologies entre la recherche publique et les entreprises à travers la recherche contractuelle. Le programme Carnot, qui s’inspire d’expériences réussies dans plusieurs pays européens, a vocation à améliorer la visibilité de la recherche contractuelle française en donnant aux instituts Carnot une image commune de compétence, d’efficacité et de professionnalisme.